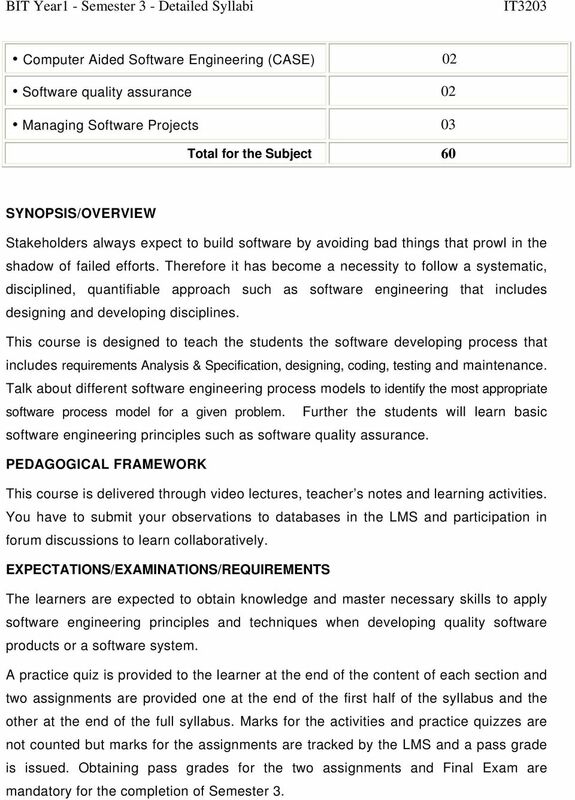 Download "IT3203 Fundamentals of Software Engineering (Compulsory) BIT 2 nd YEAR SEMESTER 3"
2 Computer Aided Software Engineering (CASE) 02 Software quality assurance 02 Managing Software Projects 03 Total for the Subject 60 SYNOPSIS/OVERVIEW Stakeholders always expect to build software by avoiding bad things that prowl in the shadow of failed efforts. Therefore it has become a necessity to follow a systematic, disciplined, quantifiable approach such as software engineering that includes designing and developing disciplines. 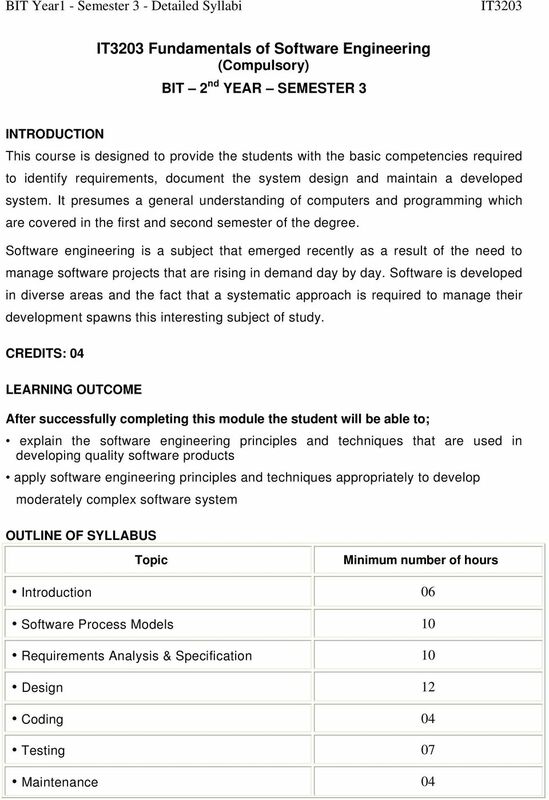 This course is designed to teach the students the software developing process that includes requirements Analysis & Specification, designing, coding, testing and maintenance. 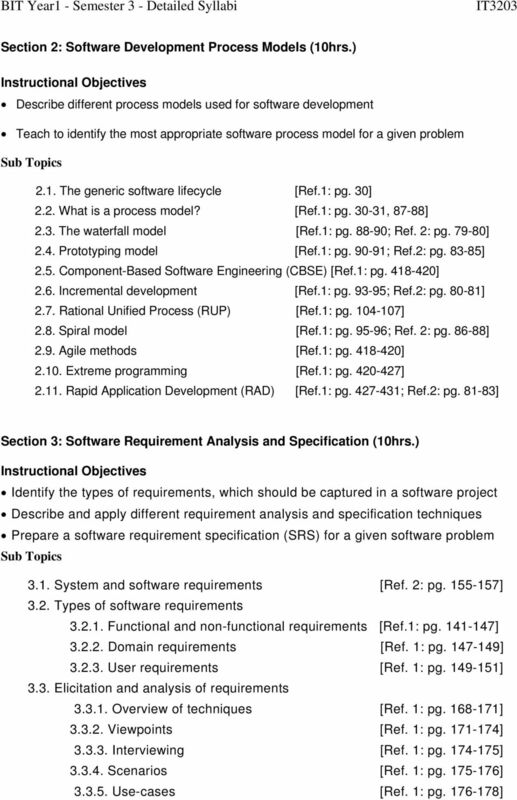 Talk about different software engineering process models to identify the most appropriate software process model for a given problem. 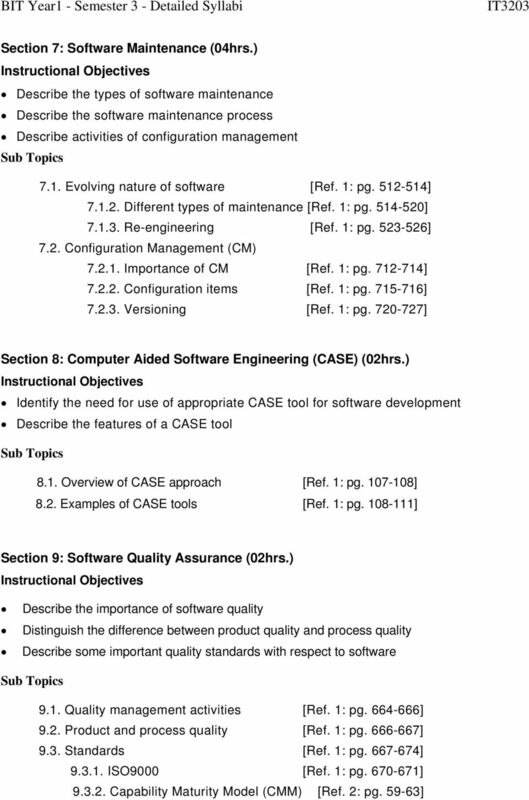 Further the students will learn basic software engineering principles such as software quality assurance. PEDAGOGICAL FRAMEWORK This course is delivered through video lectures, teacher s notes and learning activities. You have to submit your observations to databases in the LMS and participation in forum discussions to learn collaboratively. 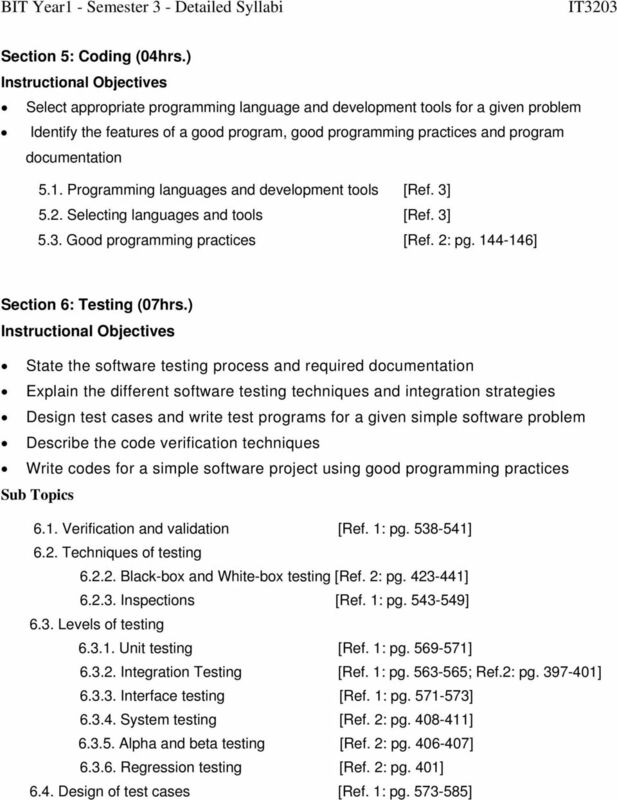 EXPECTATIONS/EXAMINATIONS/REQUIREMENTS The learners are expected to obtain knowledge and master necessary skills to apply software engineering principles and techniques when developing quality software products or a software system. 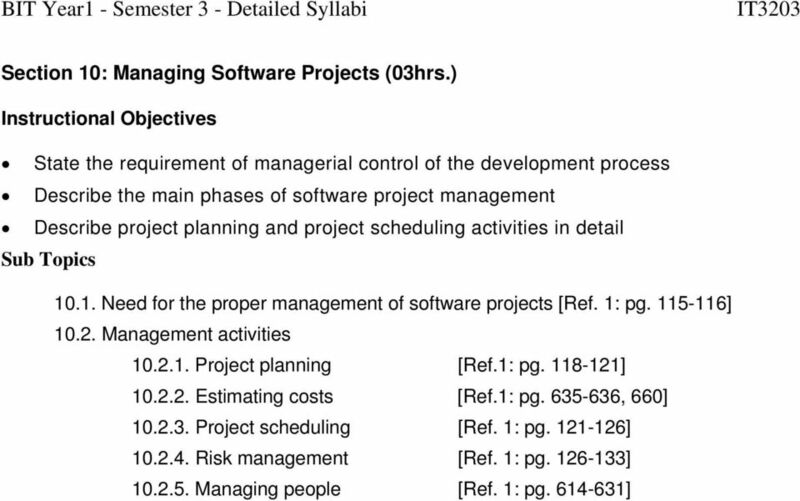 A practice quiz is provided to the learner at the end of the content of each section and two assignments are provided one at the end of the first half of the syllabus and the other at the end of the full syllabus. Marks for the activities and practice quizzes are not counted but marks for the assignments are tracked by the LMS and a pass grade is issued. Obtaining pass grades for the two assignments and Final Exam are mandatory for the completion of Semester 3. Lecture Overview. 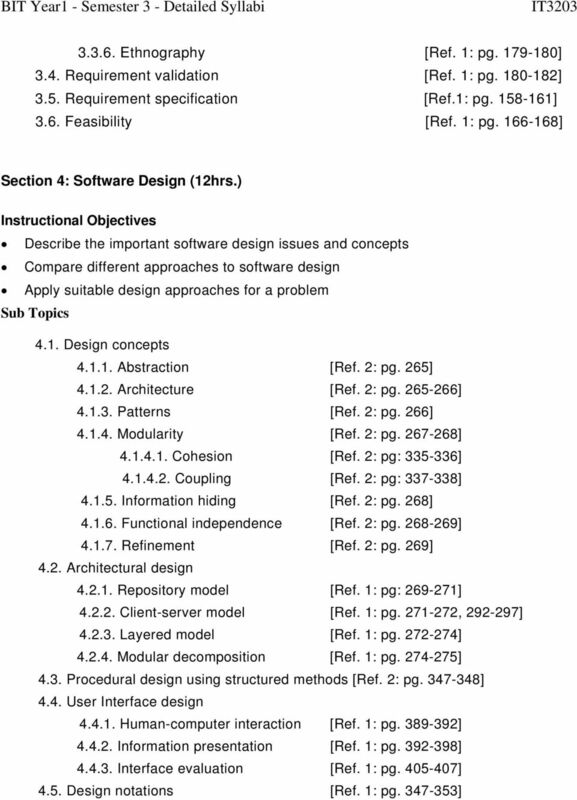 Object-Oriented Software Engineering: Using UML, Patterns, Java, and Software Development Processes. Prof. Dr.